Update on 18.11.2018: This restaurant no longer exists. 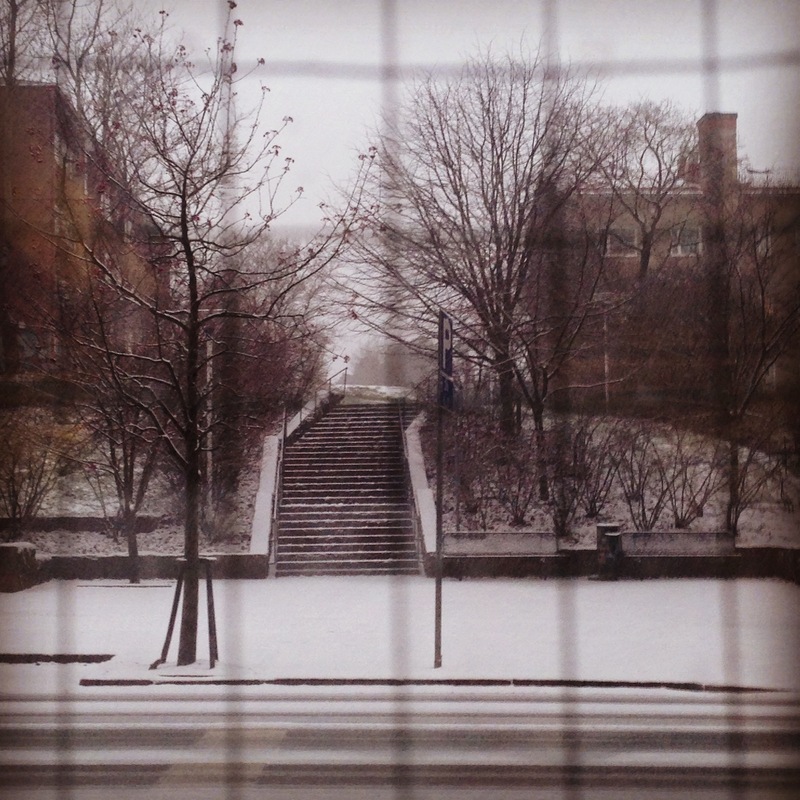 About 2 weeks ago on Friday I was at school when it suddenly started snowing. Everything happened so quickly, within an hour all Arabia was covered with snow and it didn’t look like it would stop anytime soon! But we had already made plans with friends and no matter how snowy it was, we went out anyway. And our choice was Mare Chiaro on Hämeentie, in Kallio – my new neighbourhood. The first impression I had was “what a cute little place”. There is just a bunch of tables, one of which is a diner booth that can fit about 6-7 people at the same time. There are many, MANY things on the wall, from old cards to tiny musical instruments; but somehow it does not bother you, instead you find yourself looking at each and every one of them and feeling surprised with the variety. There are checkered tablecloths on the tables, which gives the Italian feeling (at least to me). Mare Chiaro serves Italian food, and you can find pizza, spaghetti, lasagna, several vegetable dishes etc. in the menu, with the biggest emphasize on the pizza. I was not sure what I wanted to eat, and browsing the menu, I was attracted to the biggest marketing they had in the menu: Spaghetti Bolognese: the best spaghetti in Finland, with a secret recipe that is 30 years old etc. etc.. Of course I had to eat that! So I asked for the normal size Spaghetti Bolognese – next time I order it, though, I will ask for small one. I am not sure whose normal that size was, certainly not mine. The spaghetti is served in ceramic dishes, is covered with cheese, is quite spicy, and is really, I mean really, DELICIOUS. I could not figure what the secret ingredient was though, but with the other friend who ordered the same, we decided that it was probably “steam”. The dish does not get cooler… Even after you have it for half hour in front of you, there is still steam coming out every time you stick your fork in it. But do not take this as a complaint. It really is delicious, you just need to be careful and let each bite cool before you put inside your mouth. I actually went there again last Saturday for dinner. 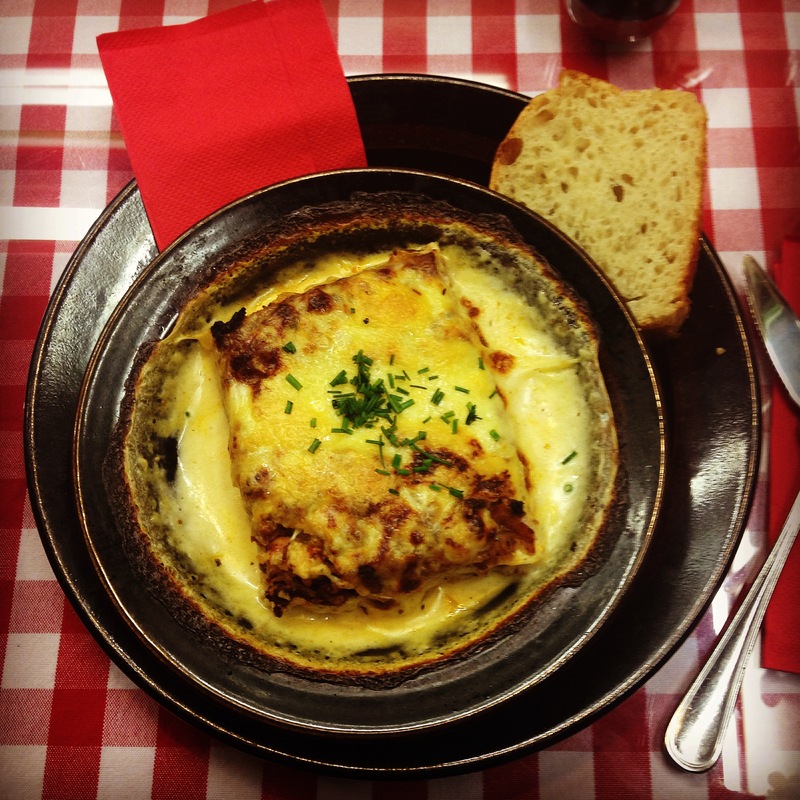 This time I ordered lasagna, which did not cool at all as well, but it was so delicious that I did not care. 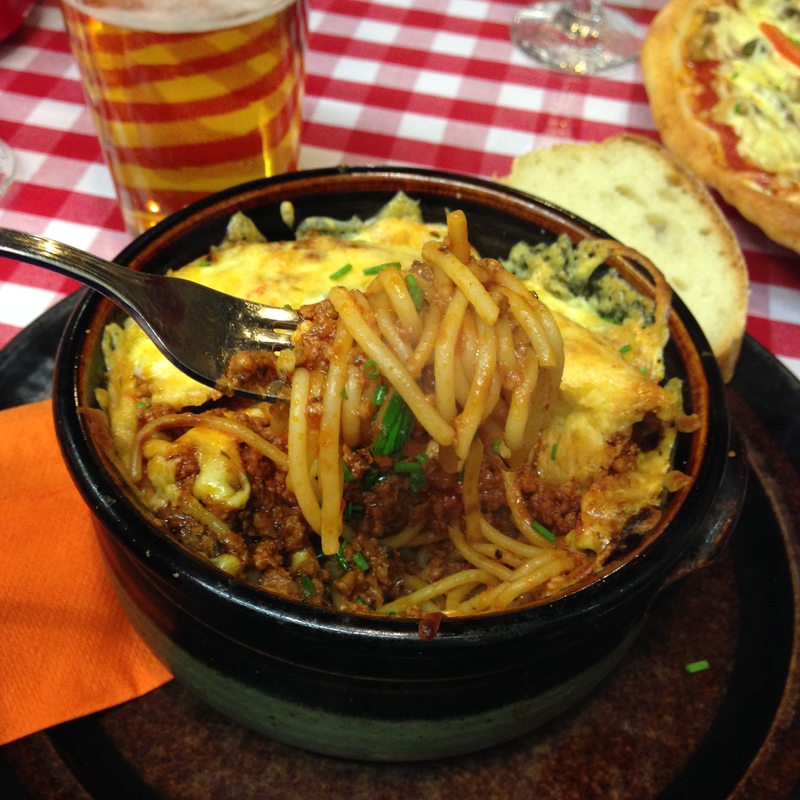 I cannot really say which was more delicious, lasagna or spaghetti Bolognese, but if you go there for the first time, maybe you should start with their spaghetti since it is the “best in Finland”. Next PostA Killer Tiramisu Recipe!